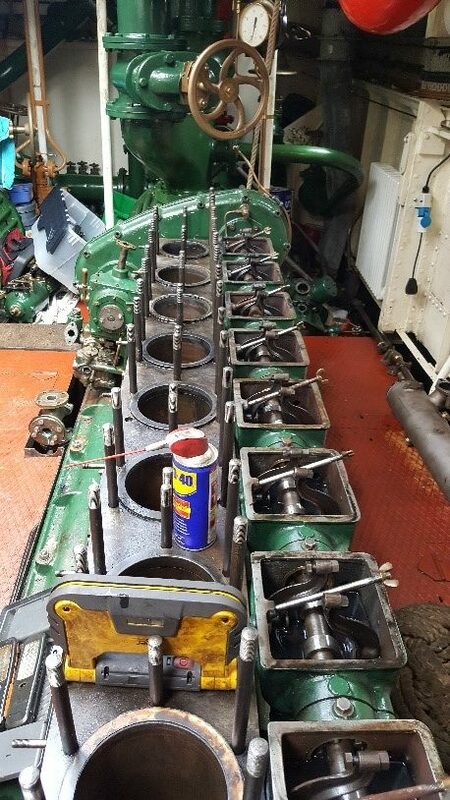 As work continues stripping down our broken engine, volunteer Tony Roome, offers an update on progress and details on how you can help! 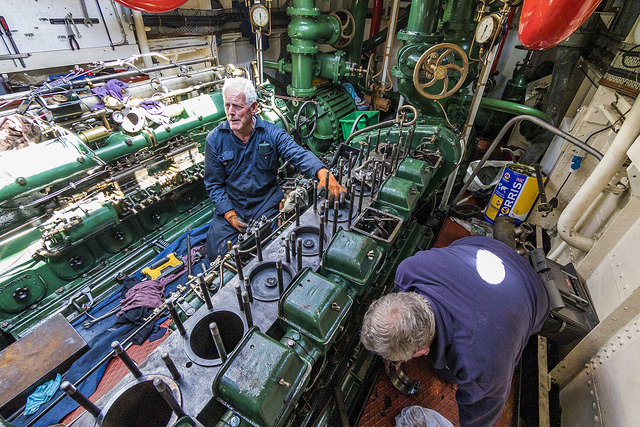 We have now removed all the heads and extracted all but one of the pistons. We have removed all the engine ancillaries, with the exception of the oil pump. 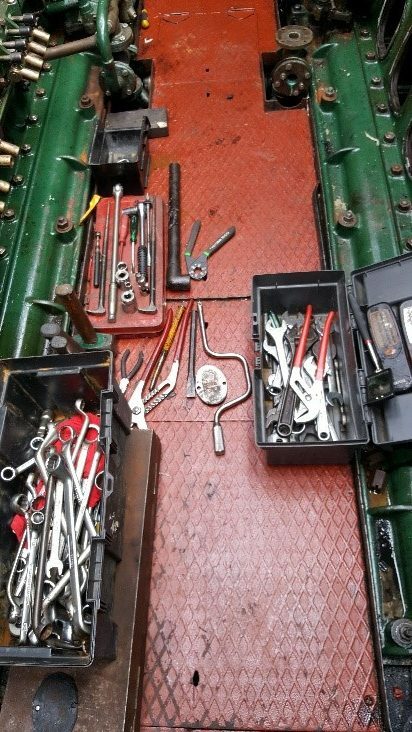 The engine room and forepeak now contain numerous boxes holding bolts and bits, all carefully labelled to ensure they go back in the right place and in the right order. 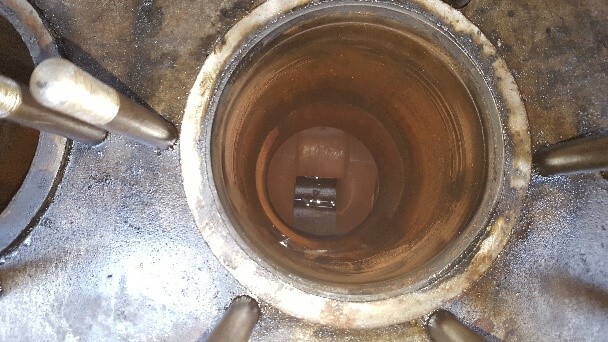 View into a cylinder showing rust on cylinder walls and crankshaft. 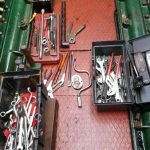 Just some of the tools in use. So far as we can see, there is rust throughout the engine, and on the crank in particular. 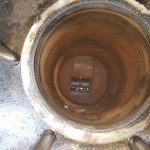 We think this is because when the head failed, this allowed significant amounts of cooling water into the engine – in places it really shouldn’t be! Despite the removal of so many parts, the engine remains seized, though there are indications that it may be close to moving. 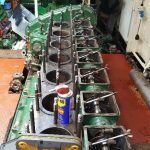 We now need to remove the oil pump, the last piston, and to access the crankshaft to finally assess the damage and prepare for the next stage of the work. In order to do this, we need to raise the engine block off the bottom end and we are currently assembling a suitable frame and chain pulley lift to enable this to happen. 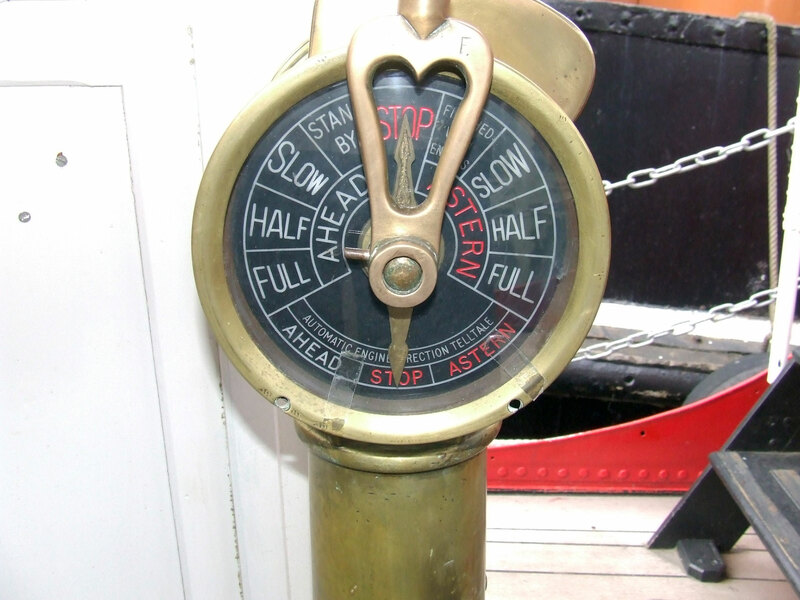 We have, unfortunately, had to take the decision to cancel the rest of our programme for this year, which means, in particular, we will miss the Classic Boats at St Katherine Docks in September. This is real shame for us as our crew always look forward to this event, and it means we lose an opportunity for fund raising which is particularly crucial at this time. More updates here as work progresses.